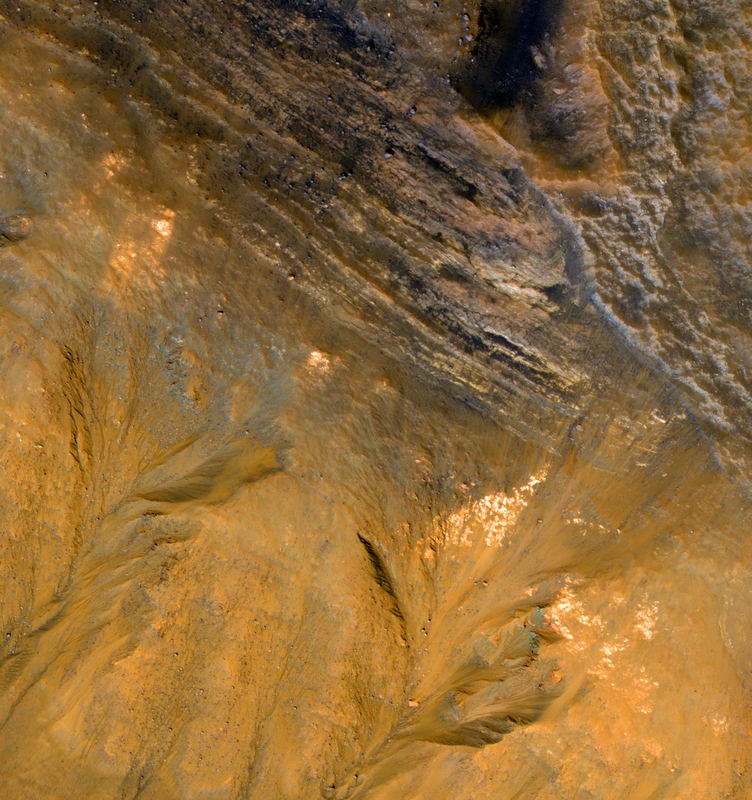 This enhanced-color image shows a stack of bedrock layers exposed in the upper slope of an impact crater inside Kaiser Crater. This observation reveals some of the materials that have largely filled the crater. There are also gullies on the lower slopes, extending up to the resistant bedrock layers. 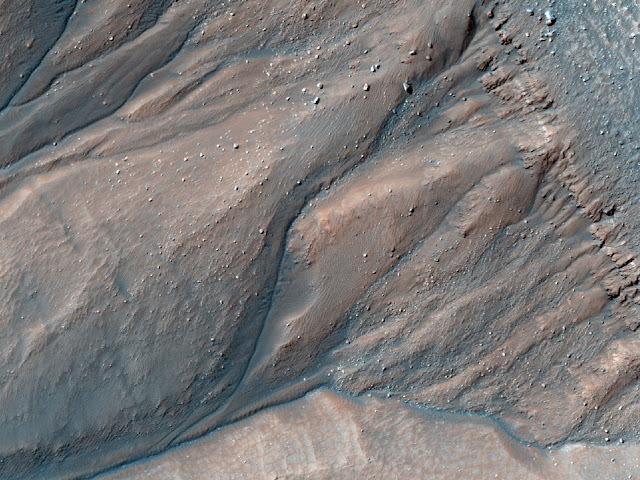 The gully-forming process erodes the loose materials much more readily than intact bedrock.